The Rundown: Series Two of the new Doctor Who sees a new Doctor, new threats, and familiar fun. Picking up where Series One left off, the new season ramps up the action, adding new worlds to explore and new threats to face. While they don’t really shake up the monster-of-the-week format, they still manage to keep it feeling fresh. So, if you’re done with Series One of the new Doctor Who, you’ll notice there’s something I didn’t mention in my first review. This is because I wanted you to be surprised. It is the fact about the alien known as the Doctor that has made the show able to run for 30+ years. It’s the fact that when the Doctor is about to die, he can regenerate himself with a new body, and new face. This is probably one of the things I love the most about Doctor Who. Not only does it allow writers to reinvent an established character every now and again, it is an awesome take on a science fiction universe. One of the things that many sci-fi shows suffer from are testy actors, actors who get bored playing the same role year after year, or, if they’re lucky, actors who have been on the show long enough that they can die from old age. This usually means an end to the show, or a revolving door cast trying to replace a character that will never quite be the same. Doctor Who has been able to avoid all that by having a main character that is meant to change drastically every now and again. This also means they can pit him against foes that can beat him. The hero can lose, and this makes the show all the more compelling. 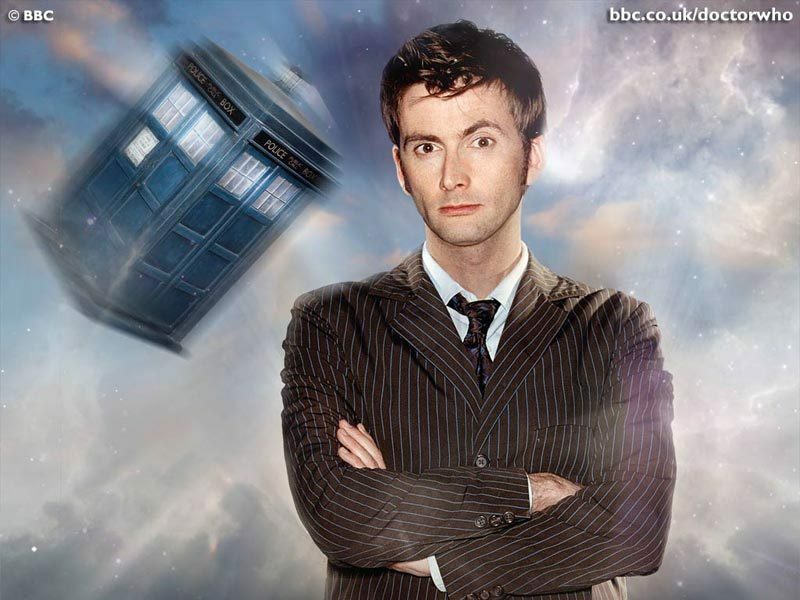 Season Two starts with a new regeneration for the Doctor played by the brilliant David Tennant. Tennant’s Doctor is much less moody than Eccleston’s, with a more whimsical attitude toward the wonders he gets to experience every day. Every now and again throughout the season he will encounter something that makes him put his serious face on, but for the most part it seems like all fun and games. 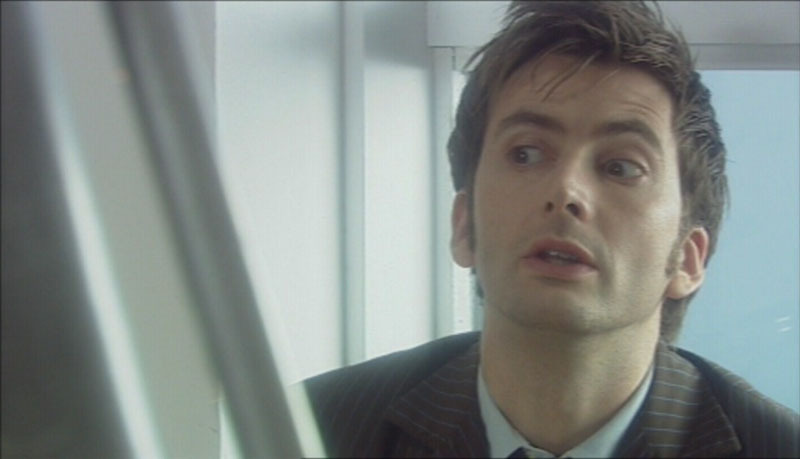 Whereas Eccleston’s Doctor raged at the ineptitude of the human race, all the while saving us from ourselves as well as extraterrestrial threats, Tennant romps around marveling at what the human race is able to accomplish. Even in the face of an interdimensional crisis, Tennant’s Doctor has a huge smile on his face, finding the whole thing fascinating. One death removed from his great tragedy, and the Doctor seems less the warrior, and more the intergalactic tour guide. It’s not necessarily a bad change, but it definitely is a different tone than what we got in series one. Not only do we get more of the Doctor in Series Two, we get more of his companions. Mickey gets to spend his own time on the TARDIS and Rose is sometimes joined by her mother Jackie who loves to give the Doctor a hard time. They continue to serve their function of giving us a human lens by which to see the wider universe that the Doctor inhabits. 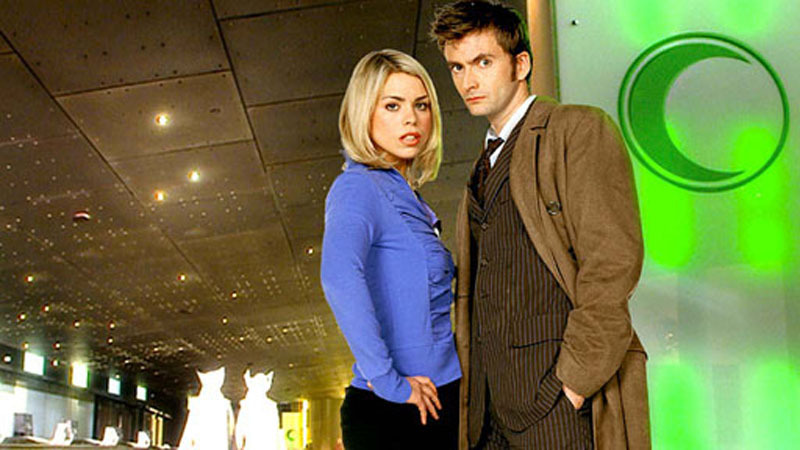 We also get more of Rose’s continued interest in the Doctor as a love interest. This is another interesting thing about Doctor Who that deviates from a standard monster of the week type show. The two main characters, while opposite sexes, have very little chance of ever ending up together. The Doctor is enamored by humans, but since they are different species, he has little to no interest in actually hooking up with one. This creates a dynamic by which the people he hangs around with are drawn to him, entranced by him, but can never really get close to him. As an extension of Series One, Series Two is mostly just more of the same. We have new episodes that show the future, new episodes that show the past, and more threats from the long thirty year history of the Doctor and his myriad incarnations. 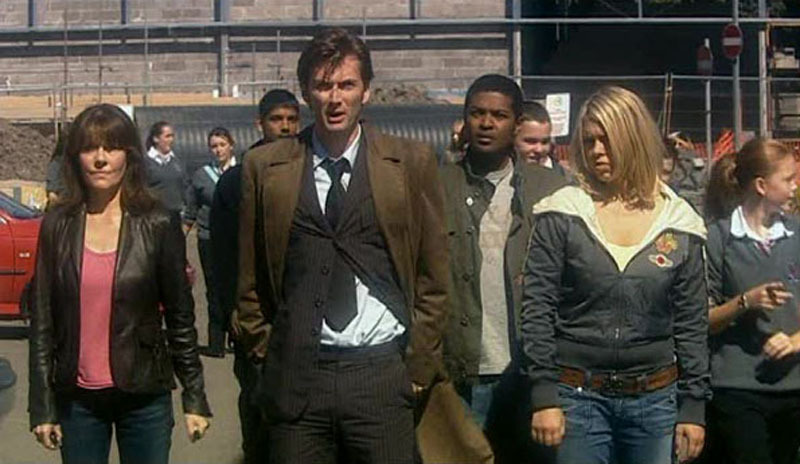 We even get to see some familiar faces from Series One. If you enjoyed Series One, you’ll enjoy Series Two. It doesn’t just add, it builds more of the myth of the Doctor, and makes his persona even larger. They do a good job of raising the stakes and making each new universe-shaking threat seem just as imminent and unstoppable as the last. So, yeah, get out there, watch the Doctor be more awesome, and stay tuned for Series Three.